^ Toews, J. (1999). 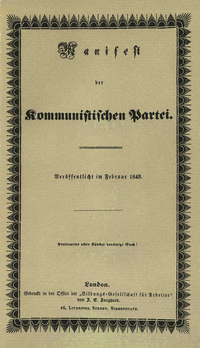 The Communist Manifesto, with Related Documents. The Bedford Series in History and Culture. Bedford/St. Martin's. p. 10. ISBN 9780312157111. https://books.google.com/books?id=pjLup4lrJCwC&dq.